This past week we started back into our fall routines; school, hockey (Cam), gymnastics (Cuyler) and dance (Eva). Our load is a bit heavier this year with Eva’s dance. Last year she took jazz and acro and she absolutely loved it. She cried herself to sleep the night of her recital, when dance was finished for the year. She would miss her friends. She would miss her teacher. She would miss dancing. 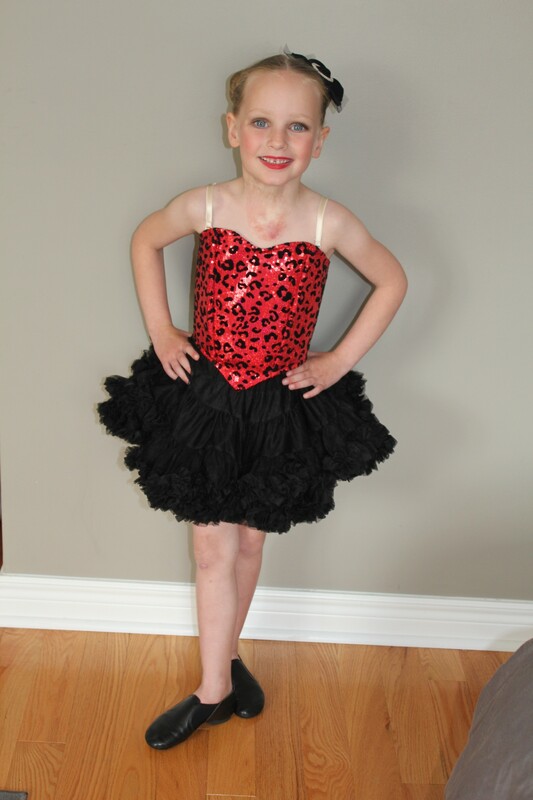 I signed her up for dance camp so she would still dance a few weeks out of the summer with her teacher and her friends. She wears her costumes all the time and dances the dances. And makes up her own. She rearranges the furniture in the family room to give herself space to dance and tumble. She does not walk anywhere, she dances everywhere. And if there is room, she cartwheels. She has added handstands into the mix now. When it came time to register for this year, I confirmed with her that she still wanted to take jazz and acro. “Good point.” Sean piped in. He asked me (in front of her) why she couldn’t take all four classes. “She really loves to dance” he argued. And I really love to afford groceries. It would cost us $250 a month – PER MONTH – for her to take all four classes. Not to mention that it will take up pretty much an entire Saturday. Long story short, this past Saturday she started all four classes. But not before we had to go out and buy new jazz shoes as she had outgrown her old ones, new ballet shoes, tap shoes ($120 for new ones!!! We’ll buy used thankyouverymuch) and a new bag to carry all of the new shoes in. 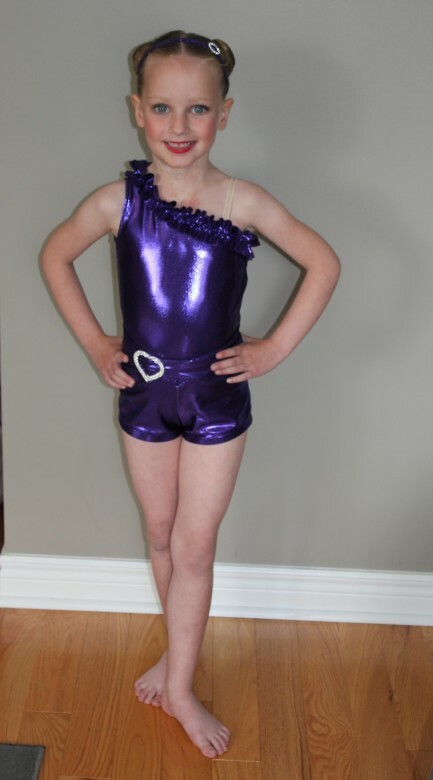 Oh and she needed a new leotard because she went up a level and this level is a different colour. I’m still not 100% comfortable with the whole thing. It’s A LOT of money for a 6 year old. Campbell plays rep hockey and we do a big money and time commitment with that, so I’m not sure why I’m this hesitant about the whole dance commitment. 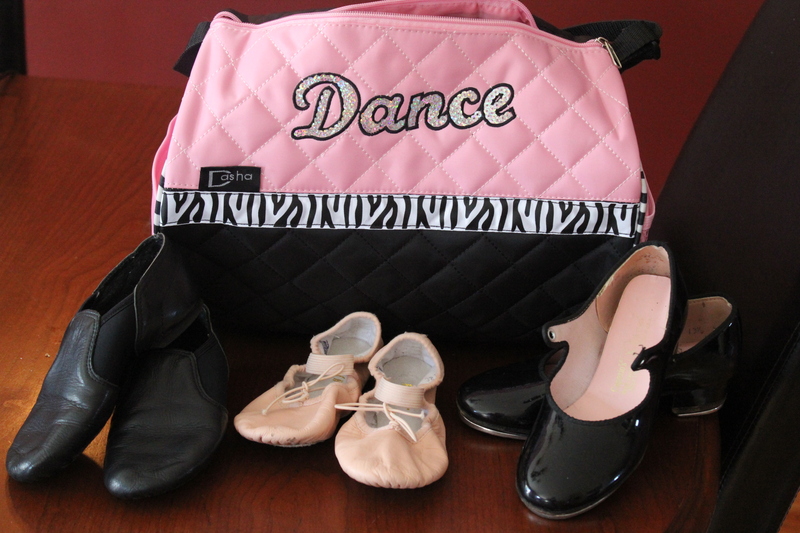 Maybe I just don’t want to become a “dance mom”. I’ve avoided becoming a hockey mom, so maybe I can avoid this too. I’m justifying the cost as a way to keep her active in something she loves. I have always been worried about her self-esteem and self-confidence because of her hemangioma, but she is lacking neither and I can’t put a price on that. Anyone else feeling torn about the money they spend on activities for the kids?